Doug Boczek of the Mt. Vernon Fire Department has been participating in the Rend Lake Polar Plunge for the past four years. Doug became involved in the Plunge when a friend talked him into it and he’s been hooked ever since. The Frosty Fire team is a combination of the Mt. Vernon Professional Fire Fighters and the Frosty Mug, a local hangout. 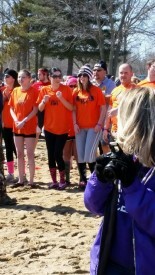 The team usually has 10 people who participate in the Plunge. This year, they have a few more people joining the team and others who have not participated for a few years. Word of mouth from current team members helps them gain more plungers for the year. While Boczek doesn’t know how much the team has raised over the years, he does have an interesting way of fundraising. He auctions off items from sponsors on Facebook. This unique of fundraising has been wildly successful. “Everything from hotel rooms to fire helmets have been donated to me, which I auction off on Facebook,” says Boczek. The Frosty Mug members of the team raise money at the Frosty Mug. 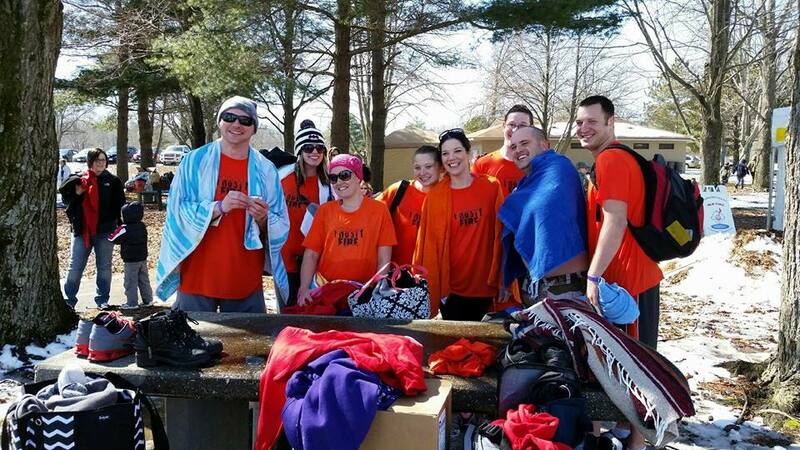 How does the Frosty Fire team warm up after the Plunge? “We all meet up back at the Frosty Mug for some of team member Matt’s delicious pulled BBQ pork,” says Boczek. For Boczek, his favorite part of the Plunge is the anticipation and excitement the morning of the Plunge. The team listens to loud music on the drive to the Plunge to pump themselves up. Boczek has simple advice for those thinking about plunging: “It’s time to get off the bench and into the water!” He guarantees that you’ll be back next year and talking more people into it. He also suggests you wear shoes because the sand is colder than the water. The Frosty Fire team will be plunging again this year at noon Saturday, March 5, at South Sandusky Beach in Rend Lake, Benton. 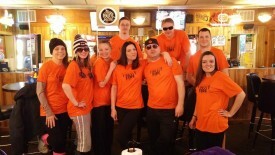 If you are interested in joining the Frosty Fire team for the Rend Lake Plunge or want to plunge at any of Illinois’s 21 locations, visit PlungeIllinois.com.